Magnetic Resonance Imaging or MRI consists of a hollow machine that uses a powerful magnetic field and radio waves to produce pictures of the internal structure of the body, in this case, knee. Knee MRI scan helps determine pain, weakness, swelling or inflammation in and around the knee joint. 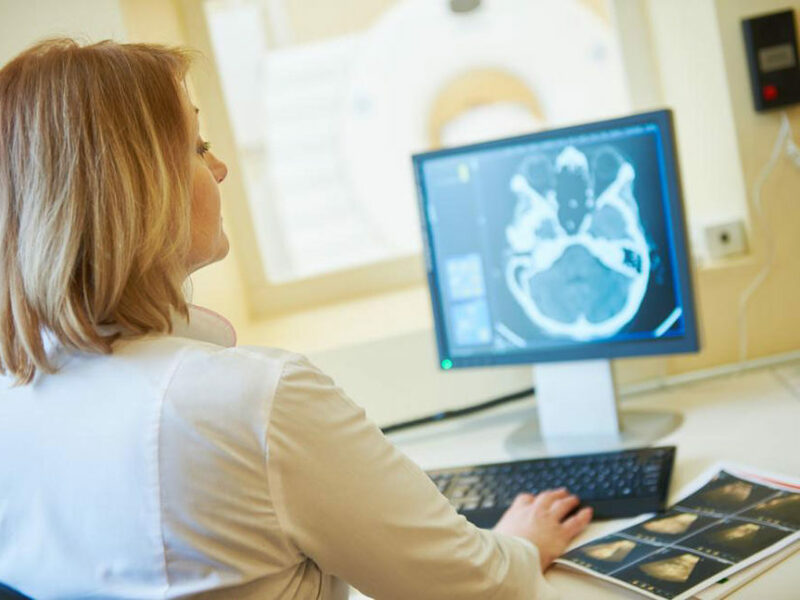 MRI scanners do not use ionizing radiation and help to determine if you require surgery. The doctors might require you to wear a gown or they may allow you to wear loose clothing during the scanning exam which does not contain any metal fasteners. Some MRI procedures require you to receive contrast medications intravenously that will help MRI scanner to get detailed images of the internal structure of the knee. Your radiologist or technologist might ask you if you have allergies of any kind before fixing a dosage. For people allergic to iodine, gadolinium might be used as a contrast medication. Patient consent is therefore required in such cases. The machine uses radio frequency pulses to realign hydrogen atoms present in our body while you are in the scanner. It does not cause any chemical changes in the body. The hydrogen atoms emit different levels of energy that vary according to the different type of body tissue. The scanner captures this energy which helps in generating series of images. These images can be studied from different angles and can diagnose if there is an anomaly in the internal structure. The differentiation of abnormal tissue from the normal ones can be better contrasted using an MRI scan when compared with other scanning techniques. Depending on the severity of the damage, the knee MRI scan may be performed on outpatients or inpatients. The patient is made to be positioned on a movable examination table. Plastics straps might be used to secure the knee and to maintain its correct posture during imaging. There are small coins inside the machine that send and receive radio waves will be placed near the knee will help in improving the image quality. Depending on the type of exam and the equipment, the entire procedure takes 15 to 45 minutes. Most MRI scans are painless. However, some patients might find it uncomfortable to remain still in the machine due to closed confined space. In such cases, sedation might be arranged for patients with claustrophobic and anxiety issues.